Messrs. Walter Haynes and J. P. Carpenter of Cliffside returned last Friday night from Blackstone, Va., where they bought a car load of registered Holstein cows for the dairy. This is the finest lot of cattle in this section and people came from all over the county Saturday and Sunday to see them. 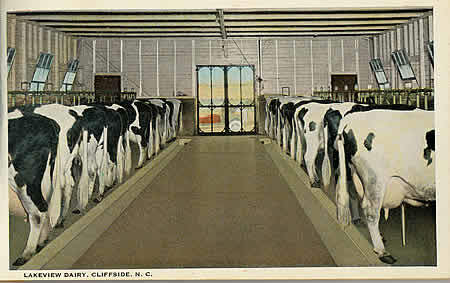 Rutherford county has one of the best, most modern and sanitary dairys in the state at Cliffside known as the Lakeview Dairy. It is owned by the Cliffside Mills company. Mr. Walter H. Haynes is general manager. It is equal to any dairy in the whole southland in quality of milk, sanitation and efficiency. It was started in the lifetime of the founder of Cliffside, Mr. Raleigh R. Haynes. His sons are trying to carry out the plans and wishes of their father. It was the writer’s privilege to carefully inspect the dairy last week. We were amazed, to say the least. It is bigger, better and more modern that we thought. It’s an institution that the county has just reason to be proud of. The milk is all strained through eight different cloths. Everything possible is done to make it clean and sanitary. Screen and boiled sanitary vessels are used. About 100 gallons of milk per day are realized from about 26 milk cows. 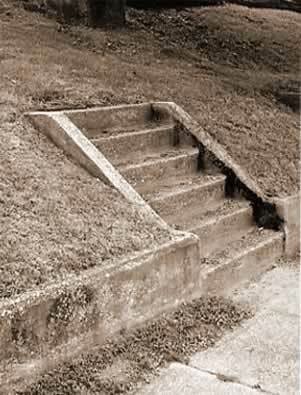 This is used by the people of Cliffside, Avondale and vicinity. It is delivered to them daily at 60 cents per gallon. Most of the larger towns pay 80 to 90 cents per gallon for good milk. The drug stores at Cliffside and Avondale sell half pint bottles of milk. The former uses on an average of about 100 half pint bottles per day, while Avondale drug store uses about 80 bottles per day. The dairy has a big churn to convert the milk into butter, if they happen to have more milk that is used, which is a rare thing. Holstein cattle are used in the dairy altogether. They are all registered and graded. Twelve of the finest cows were bought from a Virginia sale. Mr. R. S. Quisenberry, a graduate of V.P.I. is employed by the authorities to test cows, milk and oversee the cattle.